In any case involving medical issues, medical records provide a necessary foundation for effective legal argument. In order to thoroughly and efficiently gather medical details, legal professionals rely on complete, orderly records. Organizing medical records gets easier over time. For paralegals and attorneys, Legal Nurse Consultants lend expertise and understanding of a complex discipline. They thoroughly understand the healthcare system and they are familiar with medical documentation of all kinds. This blog post focuses on effective organization of paper medical records. In future posts, I will also address organization of both electronic and scanned copies of medical records. 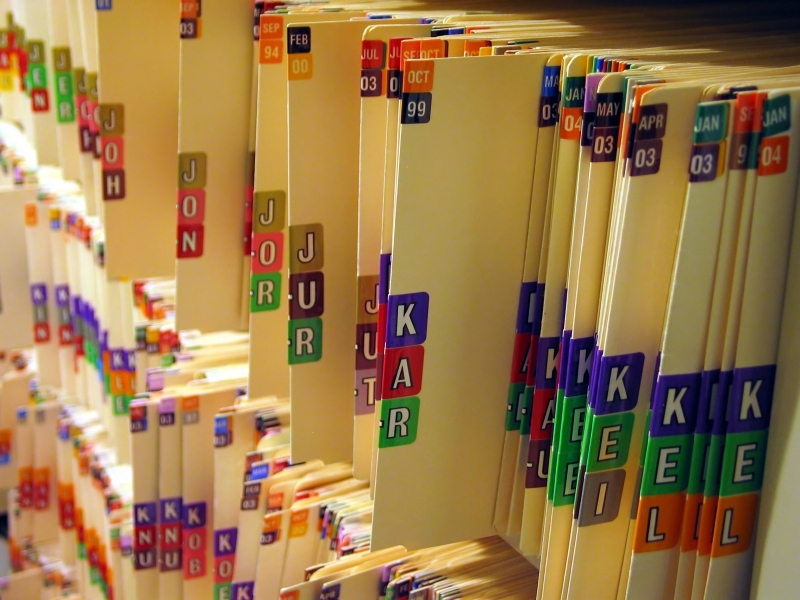 Physicians’ office records have predictable sections. Within your legal practice, it’s best to develop a consistent order for medical records so that all who access the records know where to find necessary data. Color-coded tabs can be a helpful addition, as these records tend to be extensive. These are some common components you can expect to see in physician office records, whether electronic, handwritten or a combination of both. Use this as a checklist to ensure that you have received a complete record. Patient correspondence can provide key details. In addition to the phone messages, you may increasingly find printed emails. Increasingly, physicians are inviting patients to correspond over email, and several medical systems have online portals for patient communication. These provide quick, constant access to medical providers as well as a detailed record of communication. Whether by phone or online, all patient correspondence is considered part of the medical record and is supposed to be saved.